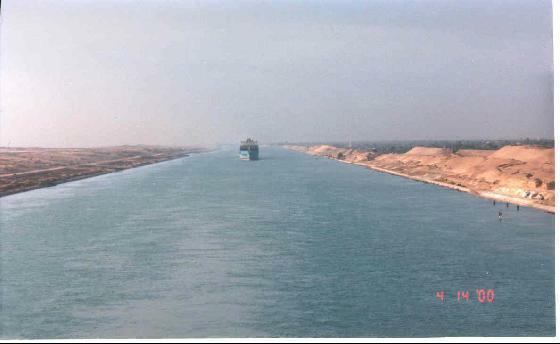 The Suez Canal connect the Mediterranean Sea with the Gulf of Suez (Egypt) and then with the Red Sea.It is 195 km (121 mi) long. The minimum bottom width of the channel is 60 m (197 ft) and ships of 16 m (53 ft)draft can make the transit. The canal can accommodate ships as large as 150,000 dead weight tons fully loaded.